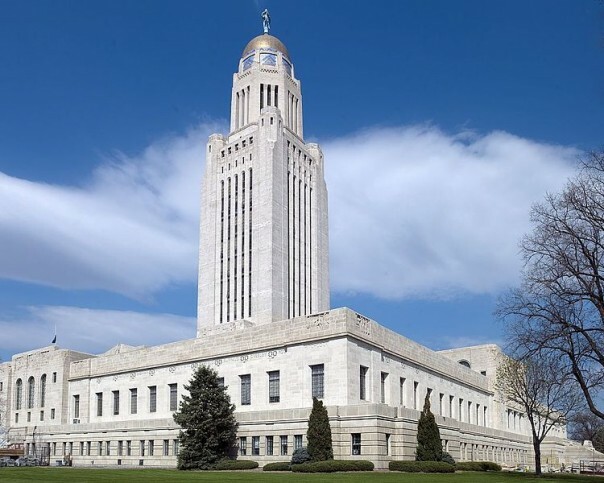 The Nebraska State Capitol, constructed in Lincoln from 1922 to 1932, is not the only State Capitol that has a tower that provides functional office space as a centerpiece rather than an empty-spaced dome. The development of high-strength steel structural shapes and the invention of the elevator in the late19th century made the high-rise office tower possible. The Nebraska State Capitol 13-story tower rises 400’ above the ground. This entry was posted in Architects and Architecture on October 2, 2013 by Bryce Hastings. 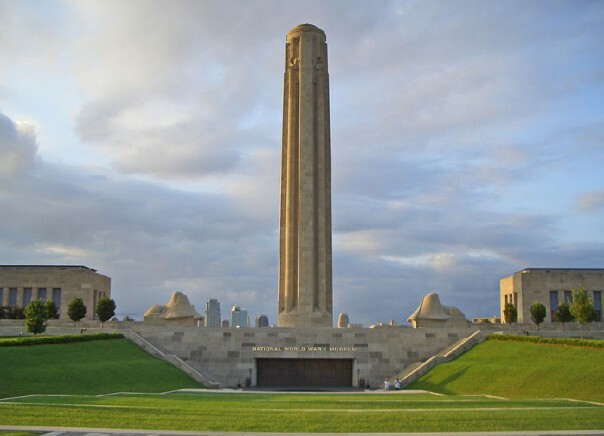 The Liberty Memorial in Kansas City, Missouri was designed in 1921 as memorial to the fallen soldiers of World War I. The Nebraska State Capitol in Lincoln, Nebraska was designed in 1921 to house the three branches of state government and as a memorial to Nebraskans who had died in World War I.
Thomas Kimball, an Omaha architect, was elected national president of the American Institute of Architects (AIA) in 1919 and served in that capacity for two years. A major issue confronting the national AIA at that time was the use of wide-open, free-for-all design competitions as a means of selecting architects for civic buildings. Kimball led the AIA effort for regulated design competitions each directed by a competent architectural advisor of the highest standards. The regulated design competitions would include a contract between the client and a selected group of architects who would receive payment for their work. A program for the competition and a construction budget would be prepared. A jury of architects would determine the winner of the competition. A typical jury might include an architect selected by the client, a second selected by the architectural advisor, and a third selected by the first two jurors. This entry was posted in Architects and Architecture on June 3, 2013 by Bryce Hastings.